A Worcester, Massachusetts landlord has agreed to settle a legal claim brought after he failed to respond to complaints by African American tenants that they were being harassed by other tenants. State Attorney General Martha Coakleys Office handled the case. 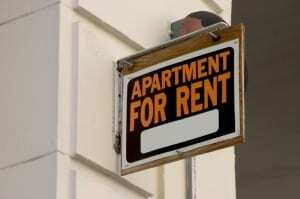 The landlord was accused of violating state anti-discrimination laws by failing to take action against other tenants in the same building who allegedly threatened, harassed and made racially discriminatory statements toward the African American family. According to the family members, their upstairs neighbors repeatedly used racial slurs towards them and threatened them with physical assault. They said that they reported these behaviors to the landlord on several occasions, but he did nothing to stop it. Landlords in Massachusetts have an obligation to ensure that tenants live in housing free from acts of discriminatory conduct and must take action to address discriminatory acts caused by other tenants, according to the Attorney General’s office. In anticipation of settlement of the claims, the landlord has already completed training on federal and Massachusetts fair housing laws. In addition, he is required to include Equal Housing Opportunity notifications in any rental advertisements for the next three years; notify the Attorney Generals Civil Rights Division of any discrimination complaints made against him in the next three years; keep records for the next three years of all advertisements placed and all applications from prospective tenants; and pay $2,000 to the victim. An additional $2,500 payment owed to the state was suspended so long as the landlord continues to comply with the terms of the settlement.